This week's challenge on the Scrap and Stamp challenge blog is to use a sketch from Pamela and this yummy paper from My Little Shoebox and of course, at least one stamp. I stamped my title with Stampin' Up"s Contempo Alphabet. I punched the letters out with the Large Oval and Wide Oval punch and tucked them inside the designer paper. You can play along with the challenge and have a chance to win some of these papers from My LIttle Shoebox. Create a page using the sketch and at least one stamp. One winner will be chose at the end of the week. Check out what the rest of the design team created on the Scrap and Stamp blog. This is my last week with the Scrap and Stamp design team. I have really enjoyed being on the team! It got me scrapping again - something I have been itching to do lately. I hope to continue fitting scrapping in to my week. This is the theme for this week's Scrap and Stamp challenge. It is being sponsored by Our Craft Lounge. The white background paper is stamped with Our Craft Lounge stamps and colored in with copics. The letters are the Alphabet Simple Sizzix letters from Stampin' Up!. I die cut them in chipboard and Bermuda Bay cardstock. I then dabbed them in versamark and embossed them with Irridescent Ice embossing powder. The smaller letters in the title are the Stampin' Up! Sizzlits Billboard alphabet. The adorable girl in the pictures is my niece, Claire. Check out what the rest of the design team came up with on the Scrap and Stamp site! Play along with us! Just create a page about something or someone you love and use at least one stamp. Thanks for stoppping by today! Have a wonderful Labor Day weekend! This week's challenge on the Scrap and Stamp blog is to scrap the place where you create. I have to admit that I did cringe a little bit when I heard we had to take pictures of where we created. My husband built me a beautiful craft room just before Christmas a couple of years ago. He finished up just before we were hosting Christmas so I had to just shove things back in my craft room. Ever since then I have made many attempts at cleaning and organizing it but I never get it completely clean. Poor guy wants me to take pictures and show everyone his handiwork but it's never presentable enough to take photos. I took a photo of the spot where i do most of my creating. The rest of the room is going to have to wait until another time. This week's sponsor is Rusty Pickle. The challenge is to stamp on chipboard and scrap the place where you create. The large curved arrow and the scallop circle are chipboard pieces from Rusty Pickle. I dabbed the arrow with Cameo Coral craft ink. After it was dry I stamped with a retired Stampin' Up! alphabet the "my messy" in chocolate chip craft ink. I finished off the arrow with some glitz frosting on the point of the arrow. The base of the page is some retired tan confetti cardstock from Stampin' Up! the designer paper is from My Minds Eye. On the circle scallop I covered the inner circle with so saffron craft ink. The outer circle is coverd with Ruby Red craft ink. After it dried I stamped it with a small circle from Circle Circus in chocolate chip ink on each scallop. The flower is from My Minds Eye. The "craft room" letters are my Sizzix Go Go Boots. I die cut them in chocolate chip cardstock and covered them with crystal effects. the page is finished off with a strip of Glitz frosting underneath the letters. It's your turn to play along! Make your own page with a picture(or pictures) of where you create. Stamp on some chipboard and link your page up to the Mr. Linky on the Scrap and Stamp site. Your name could be drawn to win a fabulous prize package from Rusty Pickle. Check it out here. It's never too early for Halloween! Halloween is right up there with Christmas in favorite holidays for me. When given the Scrap and Stamp challenge of making a page with a holiday theme, other than Christmas, it wasn't hard for me to choose. I wanted to put a border around the designer paper but didn't want to use the scallop border or eyelet border punch. Those would be too frilly for this page. So I punched around all four sides with my spiral edge punch. This is the border punch I use when making a masculine card or something less frilly. I love the result of this! Check out what the rest of the design team came up with on the Scrap and Stamp challenge blog. It seems I wasn't the only one thinking Halloween! Play along and make your own holiday page(other than Christmas), use at least one stamp, post a link to your creation on the Scrap and Stamp blog, and you will be entered into some fabulous blog candy provided by Alex! This week's challenge on the Scrap and Stamp challenge blog was to make a Whimsical page. I had pictures of my nieces playing dress up so I thought this was pretty whimsical. I stamped the title with the retired Whimsical alphabet from Stampin' Up! in craft Whisper White ink. The crown and the scallop piece behind the photos are chipboard pieces from Lucky You Ooh-la-la collection. The crown wasn't the right color so I covered it in some designer paper and dressed it up with gemstones and ribbon. The bird, the flower on the brown background, and the Beautiful all come from the MarKcella Made Simple scrap kit I picked up at Target. The pink striped designer paper is from Reminisce, and the pink polka dot designer paper is from We R Memory Keepers. The Chocolate Chip cardstock, the top note die, and Apricot Appeal cardstock are all from Stampin' Up! Check out what the rest of design team came up with on the Scrap and Stamp challenge blog. You will also see the blog candy you can win from Whimsy stamps just by creating your own Whimsical page. A random winner will be drawn by the end of next week. This week's Scrap and Stamp challenge was to use embossing on your page as well as some stamping. The two kinda go hand in hand so this was no problem. I had a lot of pictures to scrap so I decided to do a 2 page spread. I have been wanting to scrap these photos for awhile. My husband had a really ratty baseball cap that he would wear everywhere in public. I got on his case about it and so did our daughter, Rebecca. Still, he kept wearing it. For Christmas Rebecca bought him a new U of MN baseball cap but still, he wore the old one. Finally, he told Rebecca that at the next camping trip they could burn his hat. She was looking forward to that! He let everyone try on his hat one last time and then Rebecca lowered the hat into the fire. What a beautiful blaze! I used Basic Grey paper and a journaling block from Cosmo Cricket. The title is stamped in a retired Stampin' Up! alphabet and dark brown embossing powder. I have a few elements on each page that are stamped and embossed from the retired Stampin' Up! stamp set, Artifacts. Thanks for checking out my pages! No you can go to the Stamp and Scrap site to see the rest of the design team creations. Now it's your turn! Create a page using stamps and embossing and post a link to your creation on the Stamp and Scrap site. Then you will be entered to win the blog candy that is up for grabs! This week's challenge from the Scrap and Stamp blog is to do a page with a friends theme. Use at least 1 rubber stamp on your page. I used a picture of my daughter and her two best friends for this week's scrapbook challenge. These three girls are the best of friends, sweet, nice, and fun! I think this page reflects that. Other: Crystal Swirls from Prima, Flower from my stash, Full heart punch and Modern Label punch from Stampin' Up!, Stampin' Up! Sizzix Simple Letters alphabet die cut letters, chipboard, Stampin' Up! Sizzix Top Note die, Stampin' dimensionals. The journaling beneath the photo is written on my Stampin' Up! Sizzix top note die and tucked underneath the photo. I stamped the kiwi kiss and regal rose flower that are on the t and the f and the girl power sentiment on the heart are from a friendship stamp set from Lizzie Anne designs. They are the sponsor for this week's challenge. Would you like the chance to win some FREE stamps? All you have to do is make a friendship scrapbook page using at least 1 stamp and post a link on the stamp and scrap blog. A random winner will be drawn from those who have posted a link to their page. Hop on over to the Scrap and Stamp blog to see the Free stamps you could win and to see the rest of the gorgeous pages the design team came up with this week! Great news! Starting this week there will be a new challenge posted every Saturday on the Stamp and Scrap blog! You will get to play along every week and have a chance to win blog candy! Bookmark the Stamp and Scrap blog and make it a habit to play along. 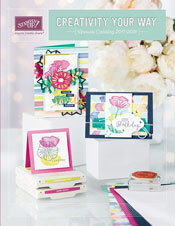 You will get some scrapbook pages created and maybe win free prizes. Sounds like a winner to me! It's time for another Stamp and Scrap challenge! This week's challenge is to make an outdoors or nature page using the digi image from Sweet and Sassy stamps from their Bug's Life collection. I chose this cute butterfly. This is my first time printing a digital image. I liked being able to print it in the size I chose. For my layout I used the butterfly in three different sizes. Check out what the rest of the design team came up with at Stamp and Scrap. They'll knock your socks off! You can play along with the challenge too! We'd love to see what you come up with using these criteria. You have the chance to win prizes also! Go to Stamp and Scrap to check it out! 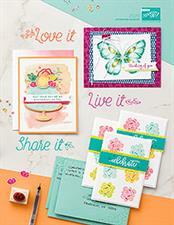 Today's the day for the very first Stamp and Scrap challenge! Scrap and Stamp is a new challenge blog. The founding members Alex and Melissa wanted to create a site that featured scrapbook pages that combined stamping and scrapbooking. I am part of their design team to kick things off! This first one is based on a sketch and a summer theme. Here is the sketch provided by fellow design team member, Pamela. Here is my Summer page based on this sketch. All materials Stampin' Up! unless otherwise noted. Check out what the rest of the design team came up with at Scrap and Stamp. You'll be amazed at the wonderful pages! You can play along too!!! Create a Summer page that incorporates the sketch above and use 2 different stamps on your layout. Leave a comment with a link to your page on the Scrap and Stamp blog post and you could win the following fabulous prizes from Limelight Papercrafts! The deadline is Thursday, June 19 PST. The winner will be announced the next day on the Stamp and Scrap blog. I can't wait to see what YOU come up with for this challenge!! !